Over the holiday weekend, my husband and I were invited to go camping with a group of about 10 families - all with kids. We thought, "This will be interesting." 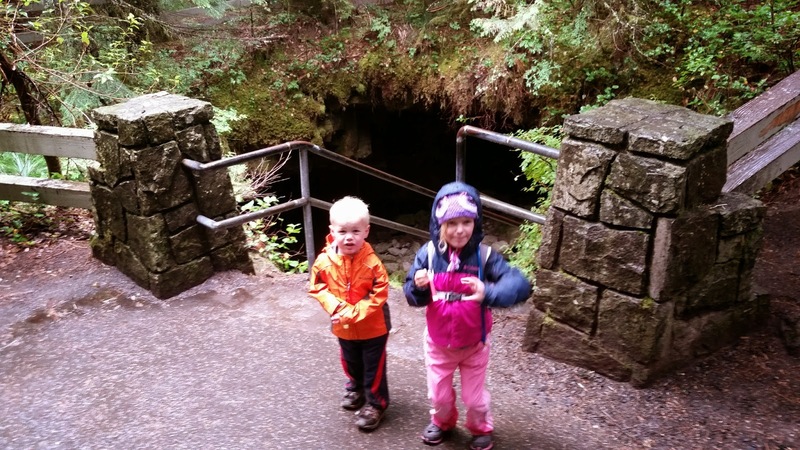 Our kids love the outdoors. They love building tents. 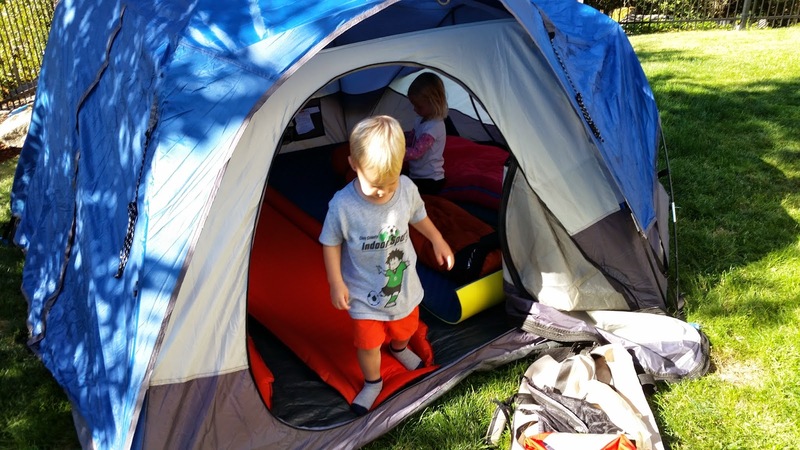 They love playing with friends, going swimming, hiking and roasting marshmallows...all things that should transfer to great quality time on a camping trip. And, for the most part it did. 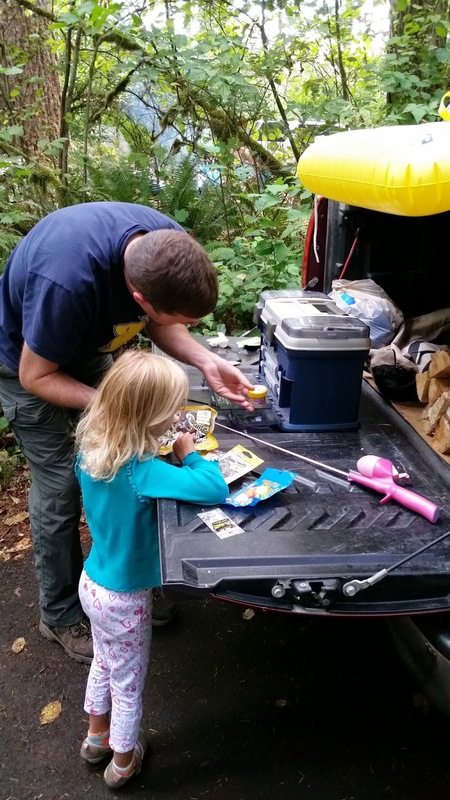 We had a blast camping at Cresap Bay at Lake Merwin near Mt. St. Helens as we hiked through the Mt. 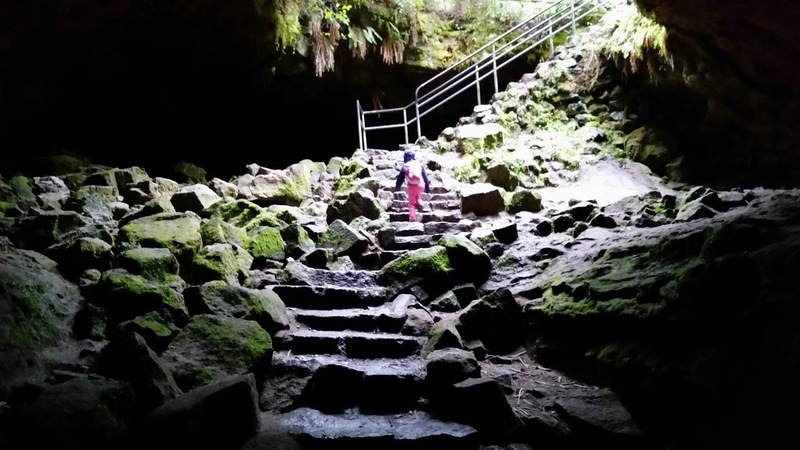 St. Helens Ape Cave Lava Tube - a fabulous rainy day activity. 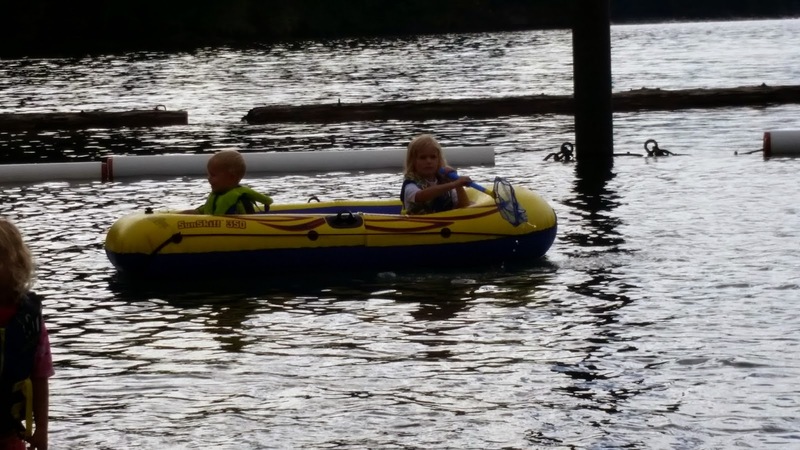 We brought along a couple of rafts and the husband and kids enjoying swimming at the swimming beach in the day-use area of Cresap Bay Park. We played with the sand toys in both the sand and dirt, hiked the trails around the campsite, and the husband and oldest child even went fishing together for the first time (although, sadly, no fish were caught). We enjoyed time with our friends and our children's friends as they rode bikes and scooters around our group of campsites during daylight hours and then sat around the fire pit to roast hot dogs and Smores at night. It truly was an enjoyable trip. ...except for the things for which I forgot to prepare my children. Things like making breakfast over a campfire takes time because the fire doesn't automatically start like the stove, oven or microwave at home. There are no bathtubs - unless you count the gigantic lake (which my husband may count, but I definitely don't) - and the showers (while much warmer than any other campsite I've visited) don't meet the steam requirements that we all have become accustomed to at home. Too many marshmallows make our stomachs hurt. As a parent, I also learned a few important lessons during this experience. A four-man tent is too small for two adults and two kids - at least if you don't want a foot or two in the face sometime during the night. A child, no matter how tight the sleeping bag, will figure out how to slowly crawl out of it (while sleeping). Cooking food over an open fire takes two parents - unless you want half the food to be burnt - so that one can cook and the other can watch over the kids. 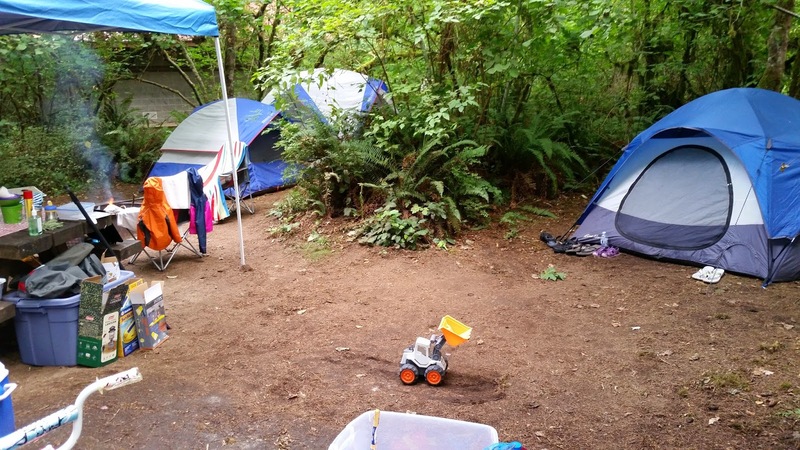 You can never have too many toys when camping with kids, nor can you have too much food. Let's not forget the important lessons for the kids. They learned things like shoes get taken off before entering the tent (especially when said shoes are covered in mud, pine needles and more), fun is not limited to what can be played on the mobile phone or viewed on TV - fun can be had finding sticks for kindling or chasing chipmunks, a little dirt isn't necessarily bad for us and glow sticks can fill the times when you can't think of anything else to do. They also have started to build memories of a family experience that didn't involve spending tons of money or going somewhere fancy. But, most importantly, they had fun. Pancakes - pre-made pancake mix (used Krusteaux mix since it only needed water added) inside a Ziploc bag. I then froze each bag for better storage in our cooler. By morning, they were defrosted to use. I simply cut off a corner of the Ziploc and poured straight onto our griddle over the fire. Easy to make - Easy to clean up. 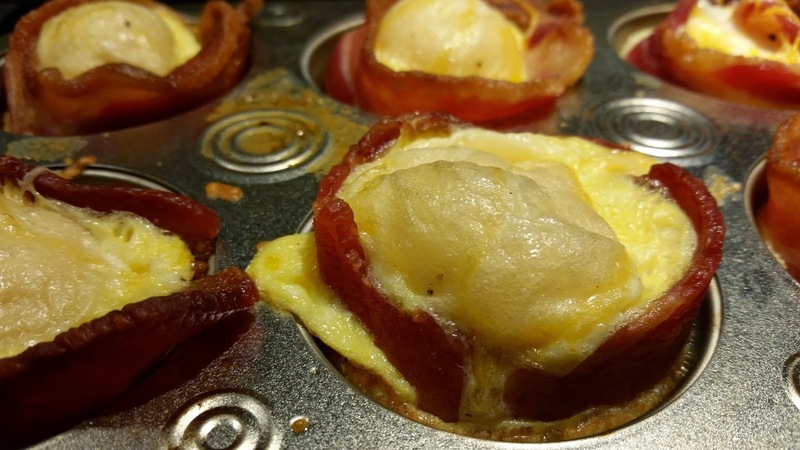 Bacon Egg and Biscuit Cups from Karen in the Kitchen's blog which I found on Pinterest when searching for camping with kids food. Eggs in a Mason jar - I found this idea on several camping with kids blogs. For easy storage of eggs, put them in a Mason jar and then pour out what you need to cook.